A couple of years ago, when you heard people say they were going on a cruise you would normally picture retirees in straw hats, sandals and brightly colored and flowered shirts. 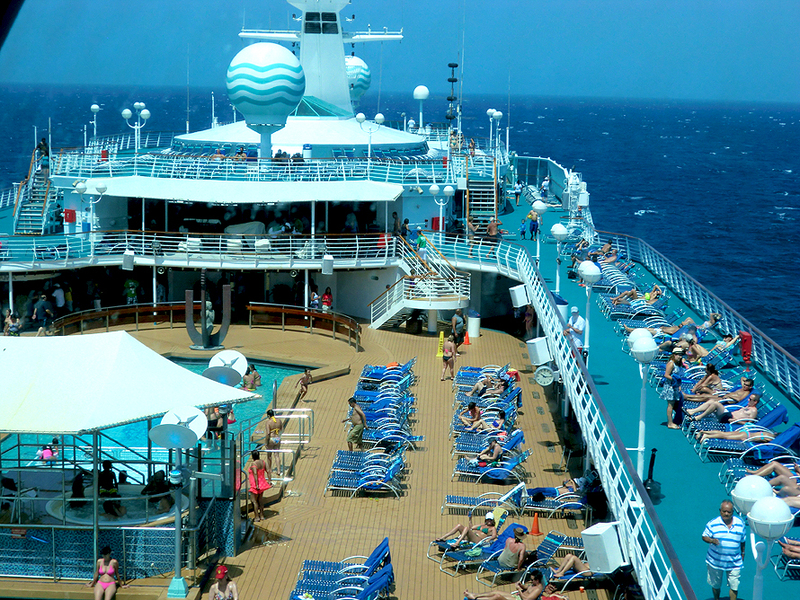 Nowadays cruise travel passengers include the young, millennials and, of course the retirees. But what has changed? Well for beginners, cruise ship companies have made it very attractive for passengers, and the younger, hipper crowds are starting to realize that maybe it makes sense to go on a cruise, see several different countries in one trip and eat, drink and party to their heart's content. In addition to this, cruise companies have done extensive market research and turned out many new destinations, new activities, both on-ship and onshore, as well as created themed cruises, increased the length of cruise trips and are putting water slides, rock climbing and even bars operated with robotic tenders on new ships, all in an effort to facilitate the changing patterns of the cruise ships travel market. I was never really interested in going on a cruise! Speaking from my personal experience, I was never really interested in going on a cruise. Nikks, the other half of Travelwith2ofus made the suggestions. My first reaction was “What!” I am not going on a boat with a tiny bedroom and nothing to do for seven days. Sounds really boring Right? Wrong! Here is the 411! So as time passed and Nikks kept nagging me about this cruise… well, I really mean trying to persuade me…OK, she presented me with information, including details of a seven-day trip. When I read the info I was so interested that I decided to do some more research online. What will we do without the web, huh? To my surprise it was really something worth looking at. “Long story short.” We did go on the cruise and we had such a great time that we plan to make cruise travel a main part of our travel lives. What on earth convinced me to go on that cruise! But what on earth convinced me to go on that cruise in the first place? The ship is not a large ship by industry standard, probably considered mid-size (The Pullmantur Monarch, and you can read about our cruise and that ship here). It has a capacity for around 2700 passengers. Large ships from the big players like Carnival are really huge in comparison. The Carnival Vista for example carries 3,936 passengers. I know, right. Huge! 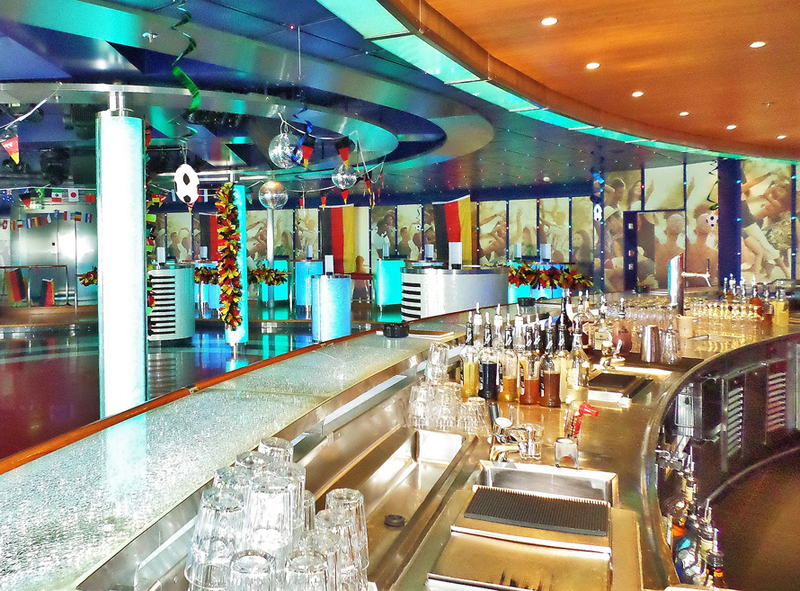 The Norwegian Escape from Norwegian Cruise Line has a whopping 4,248-passenger capacity. The Princess Cruises Regal and Royal Princess carry 3560 passengers each. But wait! 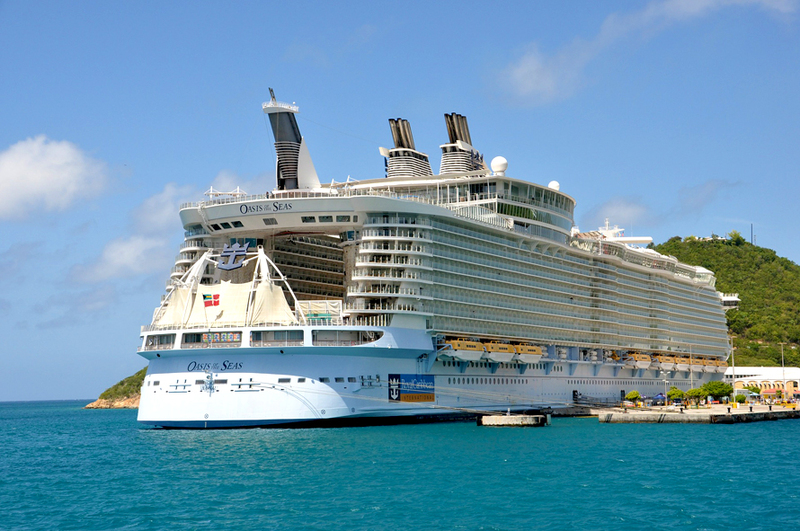 Hold on to your socks, Royal Caribbean’s Allure of the Seas and Oasis of the Seas both has a maximum capacity of 6,360. Yes that is correct, they are the big sisters of the cruise industry. We get to drink and eat all we want! Anyway, getting back to the point. The first thing that hit me was the cost of the cruise. It was around US$1700 for both of us, including all taxes. The second thing was the number of destinations we were going to visit. The total was five in all. Think about it. What would it cost to visit those five countries separately? Loads of money! That’s what. Thirdly, we get to drink and eat all we want because this is included in the cost mentioned. Wine, Scotch, beers, rum and many others included. Between us, let’s just say wine could be your best friend while on the sea. The food is just as great and I think I did some damage to their ice cream stock. Nikks took good care of the sherbet. Healthier options, because women just want to look hot all the time. Thank you ladies. Activities include bar hopping, and oh! sports and other stuff! There are a lot of things to do on board the ship. During the day, if we are not bar hopping, yes, more than one bar, we would be taking part in some activities or playing some basketball, table tennis or other games available. At night we would either take in a show or hit the club. Yes, I said club. We were up in the club almost all the time. Shots for free. Isn’t that hip. Now, beside all mentioned, when we do arrive at a port of call we would normally go on a prearranged tour. Either to some packaged located which sometimes can be a secluded island, or a bus tour around the city, a waterpark visit or a beer, food or wine tour. Or the more exciting stuff like parasailing, deep sea diving, zip lining, or even taking a mud bath at the foot of a mud volcano. FYI, you can also scan the Internet and choose your own activities once you reach back to the ship on time. Be warned, they will leave you in your bikini and swim trunks on the shore if you’re late. Basically, it is really a great package! So as you can see there is a couple really good reasons why the cruise demographics are rapidly shifting and the younger, hipper crowds are including it as part of their travel plans. Basically, it is really a great package, and with the advent of the internet and online marketing the cruise companies are doing a great job in marketing the product to the so called internet generation, who are finding it very attractive and cost effective. OK! For the fact geeks, here are some cruise stats! So let us get some stats. According to Cruise Market Watch, the cruise industry carried 3, 774,000 passengers in 1990. In 2014, over 21 million passengers boarded cruise ships. For this year so far over 22 million people took a cruise. The site predicts that by 2019, over 25 million people will be part of the cruise travel industry. Have you ever been on a cruise? Are you excited with the new developments in the cruise industry? Well, if you decide to go look out for us, the two happiest people on the cruise ship, because that is the way we travel. Check out our Costa Magica Cruise to the Caribbean video on YouTube. Check out our cruise on board the Pullmantur Monarch to Curacao, Panama, Colombia, Aruba and Venezuela Check out our Pullmantur Monarch Cruise to the Caribbean video on YouTube.